Supervisory access, decision support and more. 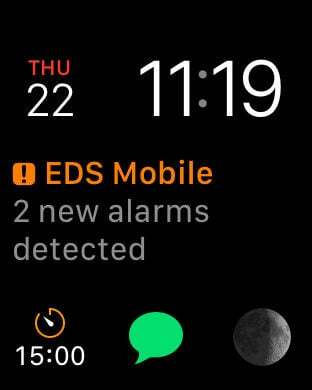 EDS Mobile turns your iPad or iPhone into a real time mobile decision-support asset by bringing all critical data wherever you go. Use Multi-Touch gestures to navigate through a multi-level view layout reflecting your company’s organization structure. Compare plant’s performance side-by-side on a macro level using key performance indicators (KPIs) or drill down to data as precise as the meaning of a single bit in a control system’s register. 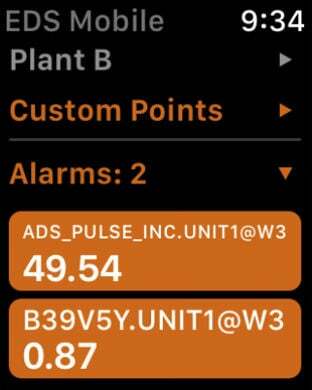 React to live alarms generated from calculations, measurements, or predictive alerts imported from the control system. Display high fidelity process diagrams representations of industrial automation systems updated online. Analyze your plant’s operational history by reviewing and plotting historical events and data. 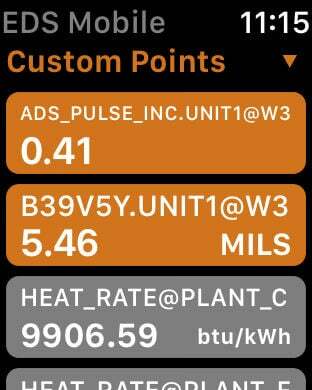 Note-the EDS Mobile App is pre-configured to connect to Emerson virtual plant for real-time and historical data. 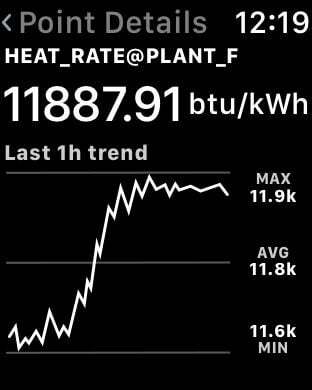 To design your own dashboards using data from your control system please visit our App Support page and request an EDS server installation. Don’t miss a bit in the big picture.